In October 2017, the Davis Park Marina was severely damaged by a storm event. LKMA provided Survey & Engineering Services to the Town of Brookhaven on an expedited schedule so that the Davis Park Marina could be reopened for the 2018 summer season. Project involved services relative to the replacement of 240 linear feet of vinyl bulkhead and 2,900 square feet of composite decking at the Harbor Master Dock Filled Pier and 60 linear feet of steel bulkhead and 250 square feet of concrete decking at the freight dock. The project also involved the design of the Ferry Dock with a new configuration to provide a safer environment for pedestrians. 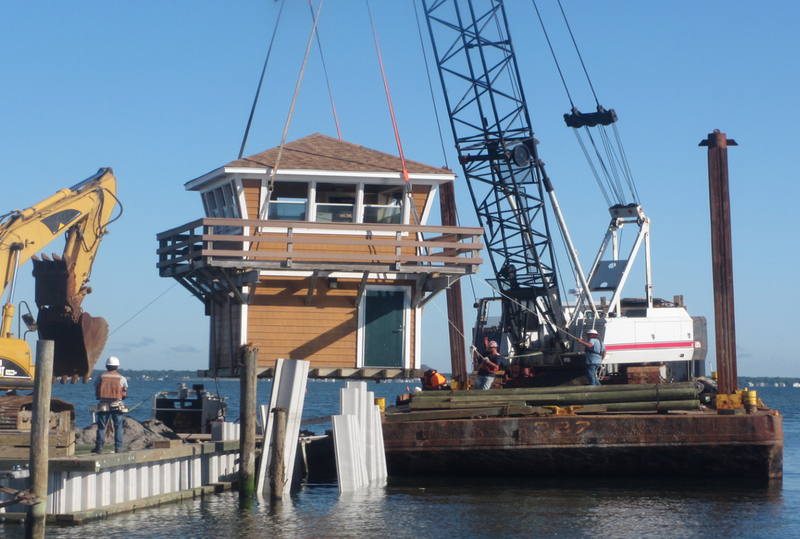 The Ferry Dock consists of a 3,360 square feet open pile pier with a timber wave screen forming the perimeter.